Now, go write that hit song or choose songs from our suggested list and have fun. You're only moments away from Success! Guitar In 5 will eliminate these common myths. Do you ever find yourself humming or singing a song? Can you tap our foot? I took lessons as a child and loved it, but my parents made me stop. Now is a great time to begin again. I took lessons as a child and I hated it, but my parent would not let me stop. 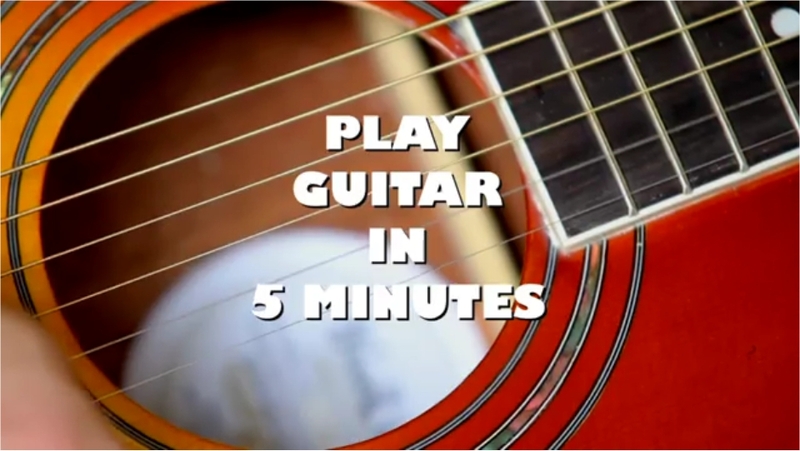 Guitar in 5 is FAST, EASY and FUN-- almost instant gratification! I took lessons before but it was too difficult. Perhaps your learning style and the teachers "teaching style' were not compatable. I don't have any time to practice. Guitar in 5 is FAST, EASY and FUN!! and our muscle memory exercise makes practice and learning easy.